Anja Lansbergen is currently a doctoral researcher at the University of Edinburgh, where she is writing a thesis on the role of citizenship in asymmetric federations. As a Collaborative Doctoral Award holder from the UK Arts and Humanities Research Council, Anja works in conjunction with the Federal Trust, a London based think tank that studies the interactions between regional, national, European and global levels of government, in order to facilitate knowledge exchange between academic and policy spheres. 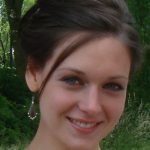 Anja has previously worked on large-scale citizenship projects including CITMODES, a forerunner to the current EUCITAC project, and an FP6-funded project checking the conformity of UK legislation with Directive 2004/38. Prior to commencing her doctoral studies Anja studied for an LLM at the University of Edinburgh as a James Madison Scholar, before which she was awarded a BA in Law with Law Studies in Europe from Oxford University. Anja Lansbergen has now left the EUDO team to begin the next phase of her career, as she starts the Bar Vocational Course in Manchester prior to being called to the Bar in 2014. Anja also successfully completed her PhD in 2013 at the University of Edinburgh. Anja has had a long association with EUDO Citizenship, since the first days when it was established as a web observatory. In recent years, working within the ACIT project, she has concentrated on upgrading and updating the databases of national legislation on acquisition and loss of citizenship to the highest standards. Anja’s legal expertise, meticulous style of work, and invariably good moods will make it very hard to replace her. On behalf of the whole EUDO CITIZENSHIP team I wish her all the best for her future.